A SpaceX Dragon spacecraft launches to the International Space Station at 1:16 p.m. EST Dec. 5, 2018, on a Falcon 9 rocket from Space Launch Complex 40 at Cape Canaveral Air Force Station in Florida. The spacecraft, on its 16th mission for NASA under the agency’s Commercial Resupply Services contract, carries more than 5,600 pounds of research equipment, cargo and supplies. 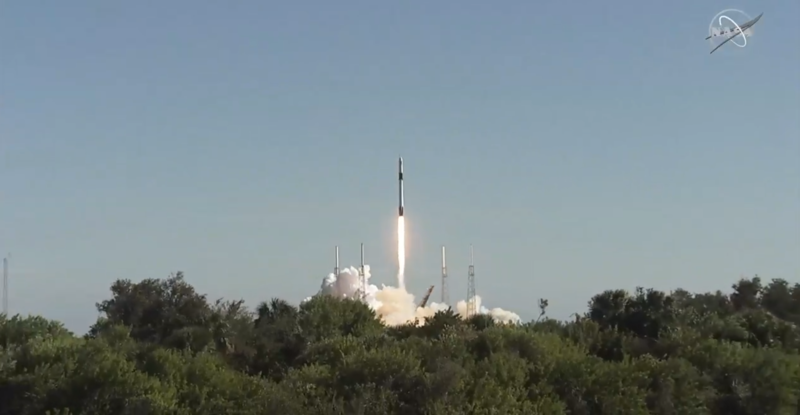 The company’s Dragon spacecraft lifted off at 1:16 p.m. EST on a Falcon 9 rocket from Space Launch Complex 40 at Cape Canaveral Air Force Station in Florida. It’s carrying more than 5,600 pounds of research equipment, cargo and supplies that will support the crew, station maintenance and dozens of the more than 250 investigations aboard the space station. Live coverage of the rendezvous and capture will air on NASA Television and the agency’s website beginning at 4:30 a.m. Saturday, Dec. 8, with installation coverage set to begin at 7:30 a.m.